Exotic lizards can make great pets if you’ve done your research. Luckily for you, we have an awesome selection of exotic lizards for sale for you to check out once you know exactly which one you’re looking for. For now, we’re going to focus on two specific lizards we have available. 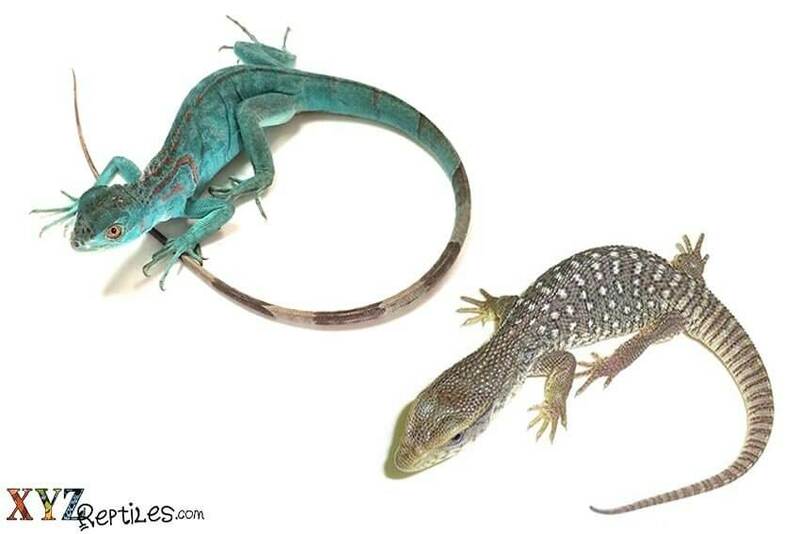 The Blue Iguana and the Savannah Monitor are worth looking into as pets; however, there are a few details to consider. Savanna monitors need room to grow. There is debate among reptile enthusiasts about how large the enclosure for a lizard should be. Everyone has an opinion, but in the end, it depends on the type of lizard. Savannah monitors, for example, can grow pretty quickly but its growth rate depends on how often its fed and the diet. To stay on the safe side, try to get the largest terrarium you can afford. Young monitors love to spend their time in trees so that’s something to keep in mind when building a suitable habitat. Going big makes it easier to maintain temperature regulation and add essential elements to the environment. Small enclosures, however, come in handy because they allow you to examine the lizard as it grows. Just beware that the monitor, like many lizards, will take any chance to escape. 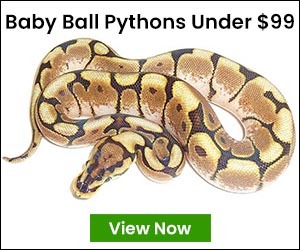 Make sure that even if it does escape its enclosure, it doesn’t escape your home, since these reptiles are banned in some cities and may require to be registered in others. The Blue Iguana is known for its large body and is not suitable for everyone. If you do have the space and equipment to give the blue iguana the quality of life it requires, you’ll find that these are pretty amazing reptiles. If you’re looking for extremely rare and exotic lizards for sale, the Blue Iguana is one to have on your radar. Their diet consists mostly of plants, fruits, and vegetables; although they won’t shy away from larvae or slugs. When it comes to temperament, you can’t always expect a specific type of lizard to act a certain way. Blue Iguanas are known to have pretty good temperament but these rare lizards have individual, innate personalities. The approach to setting up an enclosure is similar to the Savannah Monitor, but feel free to set up an outdoor pen if you live in regions where the winters aren’t too severe. When you decide to buy lizards online, you have to take into consideration the experience your reptile pet will have. That’s why xyzReptiles make sure to provide attention to detail and special care with every delivery. Our exotic reptiles are shipped properly and securely to make sure your exotic lizards arrive in the best condition, ready to spend their life with you.